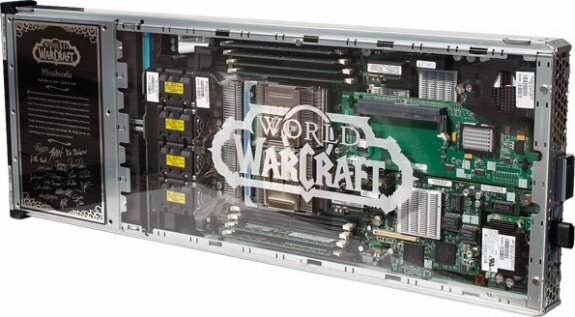 HotHardware offers pictures of a retired World of Warcraft server that was sold by Blizzard as part of an auction to benefit St. Jude Children's Research Hospital. You can view it over here. Maybe you're addicted to World of Warcraft and spend every free moment immersed in the most popular massive multiplayer online role-playing game (MMORPG) of all time, wandering through Azeroth doing whatever it is WoW players do. I wouldn't know, but I assume it's a lot of questing and raids.